ACCOMACK COUNTY, Va. -- Two classic American novels have been temporarily banned from a Virginia school district after a parent raised concerns about the use of a racial slur. 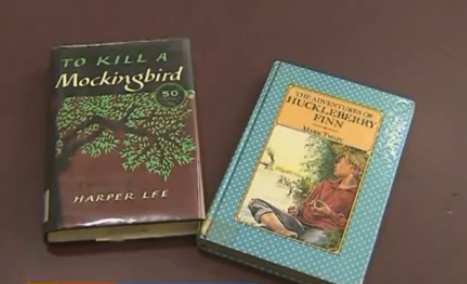 The use of the book’s “The Adventures of Huckleberry Finn” and “To Kill a Mockingbird” were suspended from Accomack County Public Schools after a parent raised concerns about their use of the N-word, CBS affiliate WTVR reported. Combined, the two books use the N-word more than 250 times. Some parents told WTVR that the use of the racial slur is unacceptable. “It’s in a book and they’ll feel that they are able to say that to anybody, and so I don’t feel that that should be done,” Teresa Wilkins, whose children attend ACPS, said. However, not all parents agreed. “I think we’re sending a message to our children that if you don’t talk about something, it doesn’t exist,” Donna Natoli said. The superintendent said there is no set date for when the recommendation will be made.